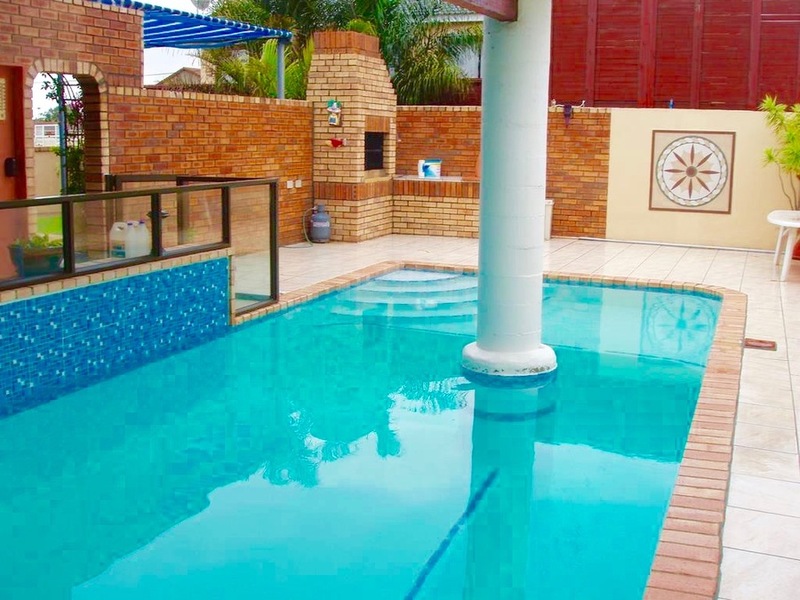 Sundays River Mouth Guesthouse is a AA Superior Rated accommodation guest house situated in the sleepy holiday villiage of Colchester, 45km from the city of Port Elizabeth on the Eastern, Sunshine Coast of South Africa. 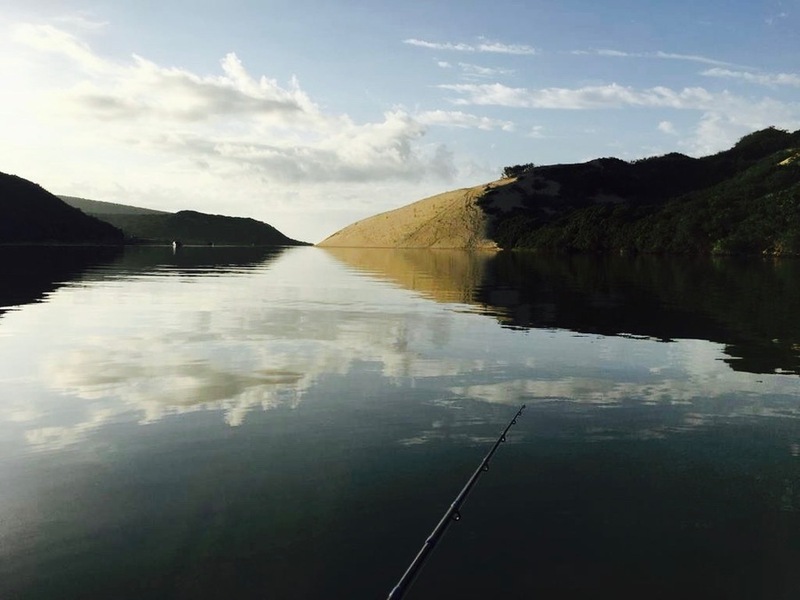 There are plenty of activities such as fishing, hunting and game viewing. Sundays River Mouth Guesthouse is a Self Catering Guesthouse that consists of a two bedroom upper-deck structure with a large wooden deck that has a restricted view of the Sundays River. There are two restaurants and Spar supermarket in the village. The main bedroom has 2 beds and is slightly larger than the second bedroom. There is one double bed with a single bed provided for an extra guest. This bedroom has a large sliding door opening onto a large wooden deck that has a restricted view of the Sundays River. We provide high quality Simonz beds with “Ice White” linen, and all of the furniture is of high quality with a “honey oak” theme. Sundays River Mouth Guesthouse features paintings by Lloyd Thompson. The second room offers two high quality single beds with Simonz beds with “Ice White” linen, and all furniture is of high quality with a “honey oak” theme. There is a very large open plan air-conditioned lounge, and a dining room, offering a six seater high quality ‘Lounge Suite” and 6 seater high-back glass and stainless steel “Dining Room Suite”. There is a separate king size double sleeper couch available. A huge new HD - LCD 40” (inch) “Flat Screen TV” is available for use. There is a fully equipped “Open Plan Kitchen”, offering combination gas and electric equipment all in high quality stainless steel. The lounge has two large sliding doors leading out to the entertainment deck. Facilities on the deck include a “Braai” as well as two tables and 8 chairs. Braai wood and charcoal is not included. The Guesthouse features a, “under-African-skies” bathroom with a glass roof. Relax, take an unwinding bath with a glass of champagne while watching the stars! This is designed to provide the ultimate comfortable stay, and take the already luxurious ambience of Sundays River Mouth Guesthouse, to yet a new level. Sundays River Mouth Guesthouse offers safe undercover parking for your vehicle. The Sundays River has its entrance at the mouth of the Indian Ocean and is tidal from the mouth for 17km. 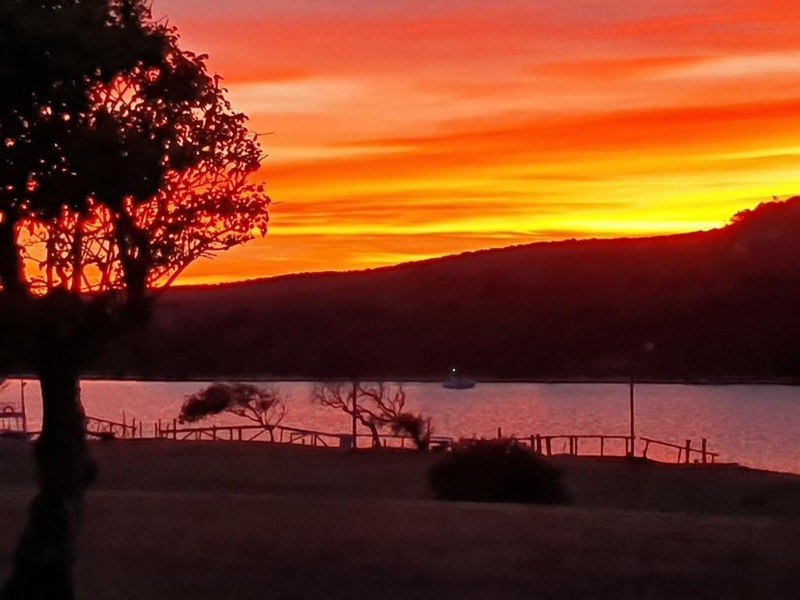 The Sundays River Valley Route/Addo region is only an hours' scenic drive from the wonderful beaches of the Sunshine Coast and the rich 1820 Settler history of Grahamstown. To experience the sounds and sights, Big 7(elephant, black rhino, buffalo, lion, leopard, great white shark and sperm whale) and the friendliness of Africa, this area is a must for any holiday maker. 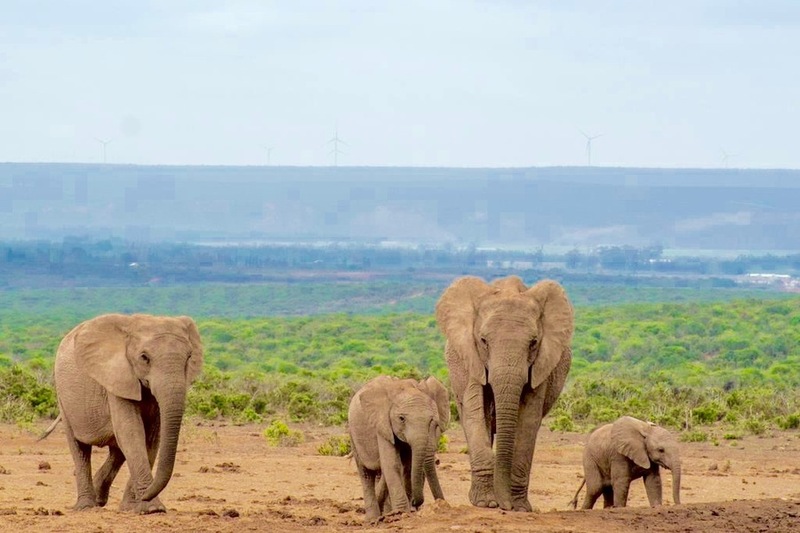 Addo Elephant National Park is situated 72km by road from Port Elizabeth. Established in 1931 to save 11 Elephants on the brink of extinction, and now home to more than 350 of them, 280 Cape Buffalo, black Rhino, a range of Antelope species, as well as the rare flightless dung Beetle, Addo Elephant Park is a perfect destination for the adventurous outdoor and nature lover. 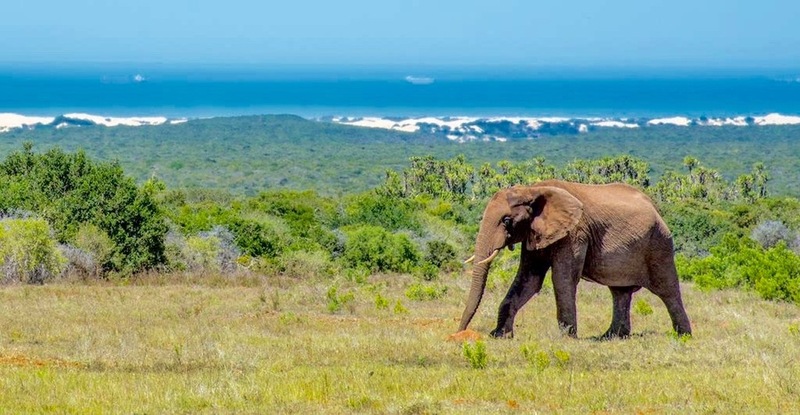 Addo Elephant Park, a sanctuary for a wide range of South Africa's Wildlife, is located in the 120 000 ha of land in the thick bushveld of the Sundays River, in the Eastern Cape. The park, the third largest in South Africa, offers a wide range of game viewing and outdoor activities, which include horse-back and horse-riding, guided walking, hiking and 4x4 trails and a picnic area for day visitors. Nothing could be better if you are a bush lover. Sleeps a Maximum of 6 persons. 5 guests on the beds provided; and the 6th guest on the sleeper couch. The Sundays River Valley begins at Colchester, about 37km north from Port Elizabeth on the N2. I live in a stunning quaint holiday village some 50 km from Port Elizabeth, a city on the Eastern side of South Africa named Colchester. Wilma, my better half, and I live in a luxury home (that I built myself) situated on the banks of the Sundays River Mouth. We have converted our home into a Guest House as well as having a seperate AA Superior rated guest house on the riverfront property. I'm primary a financial advisor who has been in the Finance industry for over 40 years and trade under the name of Robin van den Berg & Associates Financial Advisors. Secondary to that, Wilma and I own and run 19 Guest House units, mainly in a town in central south Africa, on the banks of South Africa's largest lake, Lake Gariep. Although I'm well over age 60, I have no plans to retire, simply enjoying my life and all the action related to it. My hobbies include fishing and riding my Yamaha Jetski on the mighty Gariep Dam Lake. Lots of fun in the sun.